In the tradition of movies like Point Blank (or for you younger kids, Payback), following the footsteps of heroes like Matt Helm, Carver sets up a classic detective noir thriller with two friends meeting in a diner. 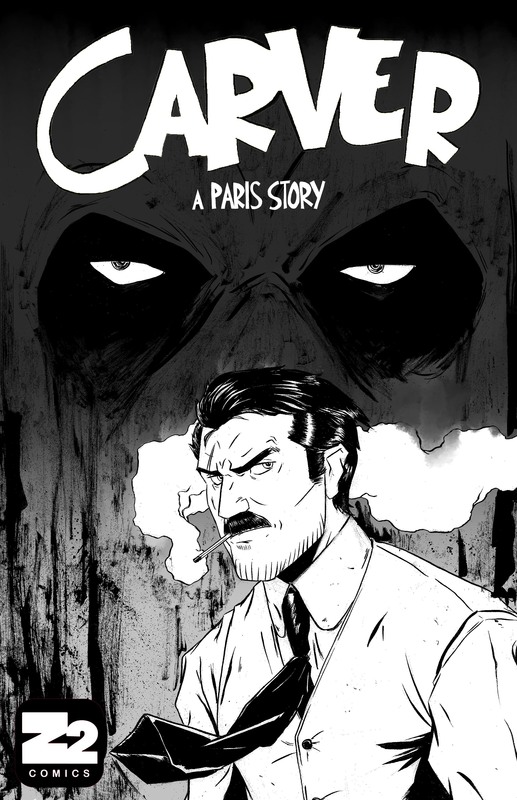 Francis Carver, veteran of World War I, is a man with a past. Known in the papers as the “Bloody Marine of Belleau Wood”, he’s haunted by the things that he’s seen and done. He gets a letter from an old flame, asking to meet with him on a matter of life and death. Still holding a torch for her, maybe as a reminder of who he used to be, Carver shows up at the time and place to see what he can do to help. Catie is a woman with a serious problem… and a secret. Her daughter has been missing for two weeks, no ransom and no leads. She received a letter from an unknown source, telling her that there is a person who can help her. She’s given a time and a place to meet this person, and with no one else to turn to, Catie goes. We get the impression that Francis and Catie just sort of drifted apart, losing touch with each other the way people on different paths do. For his part, Carver seems happy to be back in touch with Catie, a part of his life that goes back to before his time at war. He’s eager and willing to help her in any way he can… but Catie didn’t send the letter and believes this to be a chance meeting between old friends. 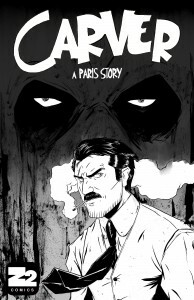 While I don’t generally think “comic book” when I’m looking for something in the gritty “noir” realm to read, Carver touches all of the right notes with precision and skill. At the start, the story seems to be an unassuming tale of two old friends, and then without warning it turns into something very different. The tension doesn’t build so much as get dumped into your lap with the sound of gunfire and shattering glass. My only real problem with this issue is that it does end so abruptly, and with a pretty brutal cliffhanger… almost like they planned it that way. Who sent the letters? Who has Catie’s missing daughter and why did they take her? What’s more, who’s the father? You want the answers? You want the truth? Tune in for the next issue… If. You. Dare.